A Petromax is more complicated to use than a razor scooter. What's more, since it uses flammable lamp oil or paraffin oil to produce light, operational mistakes can be dangerous and/or painful. 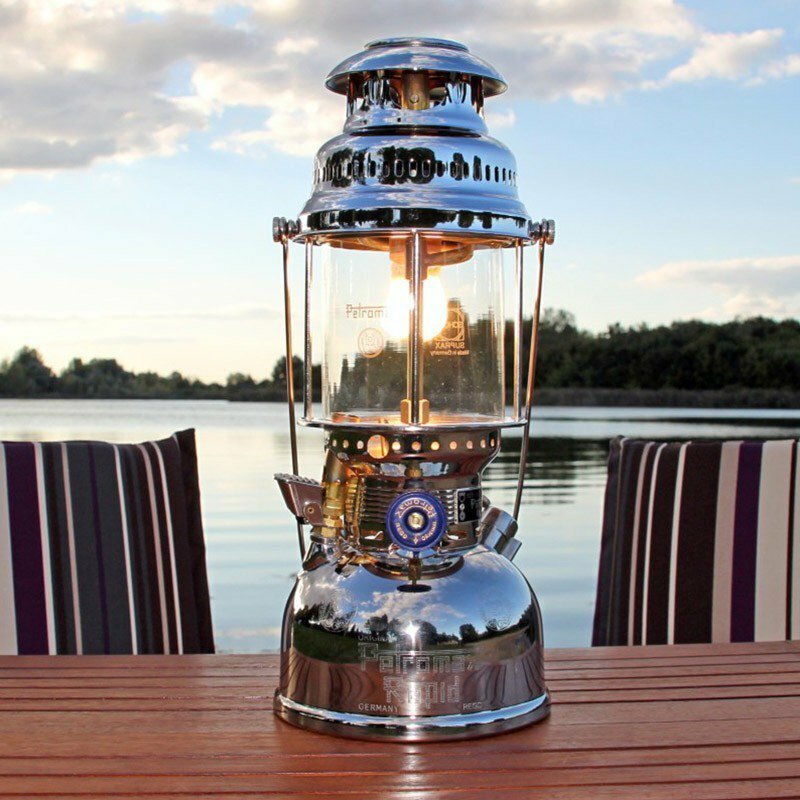 In general, the hurricane lamp works as follows: with the help of a pressurized fuel reservoir (lamp oil or paraffin oil), you light the wick, whose flame is intensified by a mantle made of incandescent material. 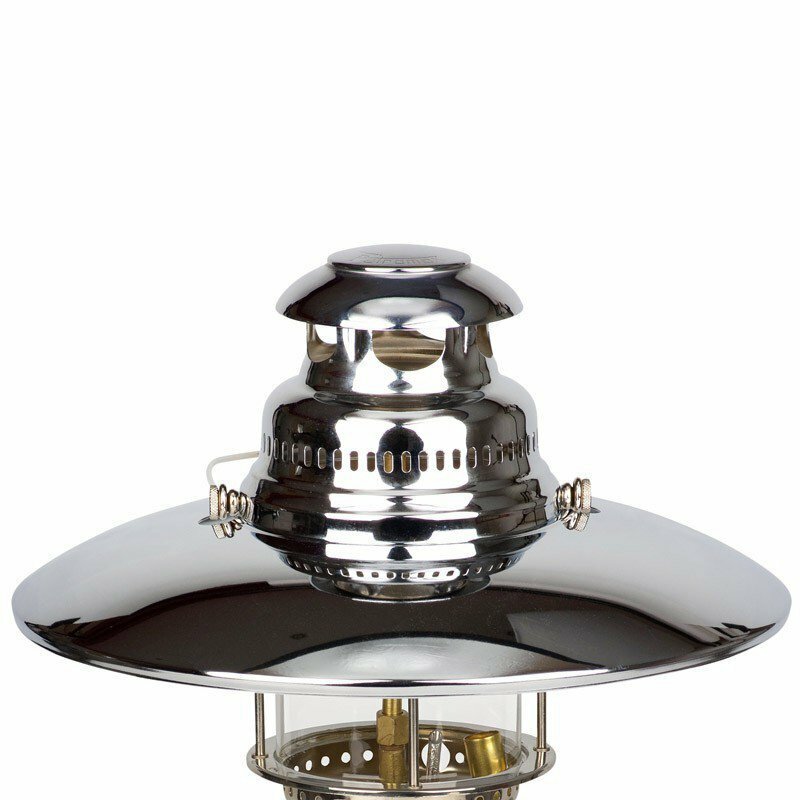 The power is not adjustable, but very intense and warm: this model has an illumination of 400W, the equivalent of a large outdoor halogen spotlight. Filled to its maximum (1 litre of oil), it can burn for 8 hours. The pressure gauge (which also serves as the top to the reservoir) shows how much pressure is left in the reservoir. 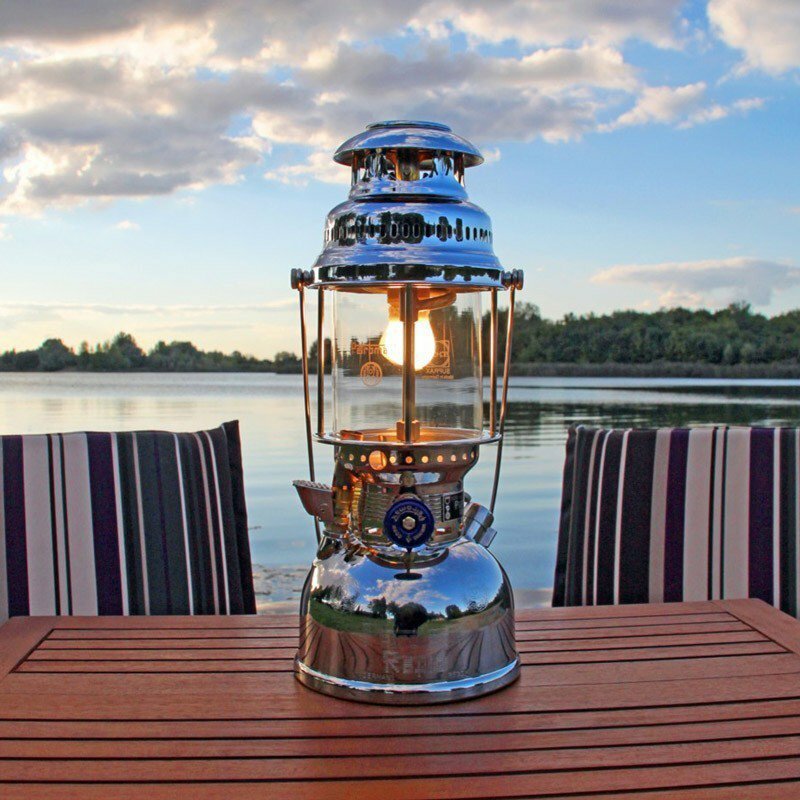 The vent screw allows you to depressurize the reservoir when you extinguish the lantern and store it. The tiny built-in blowtorch, called a "rapid pre-heater" heats up the heating elements (carburetor, jet, and burner) to the temperature that is necessary for it to work perfectly. It is used for only 90 seconds and produces a bright flame. 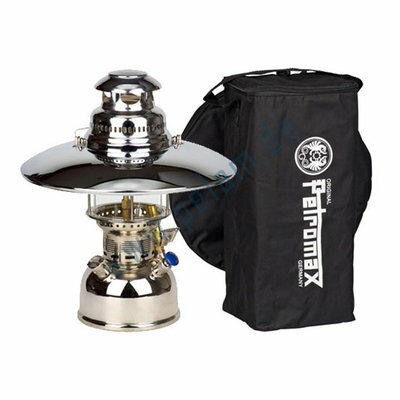 The incandescent mantle is a sort of chemical miracle that creates the surprisingly intense light produced by the Petromax HK500. 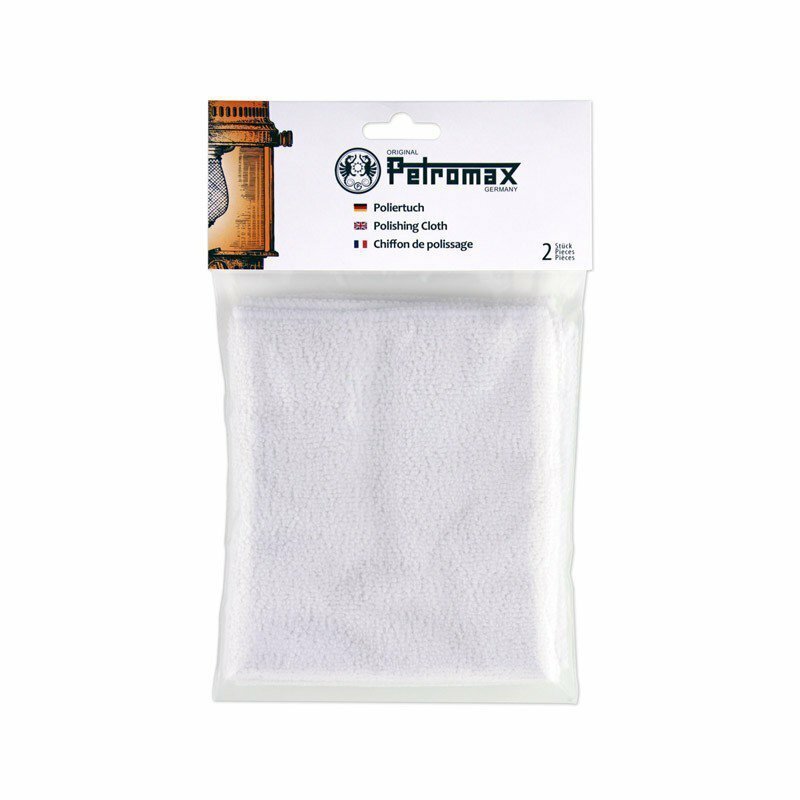 The mantle is basically a cotton netting soaked with rare earth minerals (cerium oxide, thorium oxide). When the lamp is lit with its mantle in place, all the cotton is burned off, leaving just these chemical-magical oxides. The English-language instruction booklet can be downloaded by clicking on the image to the left or at the bottom of this page. 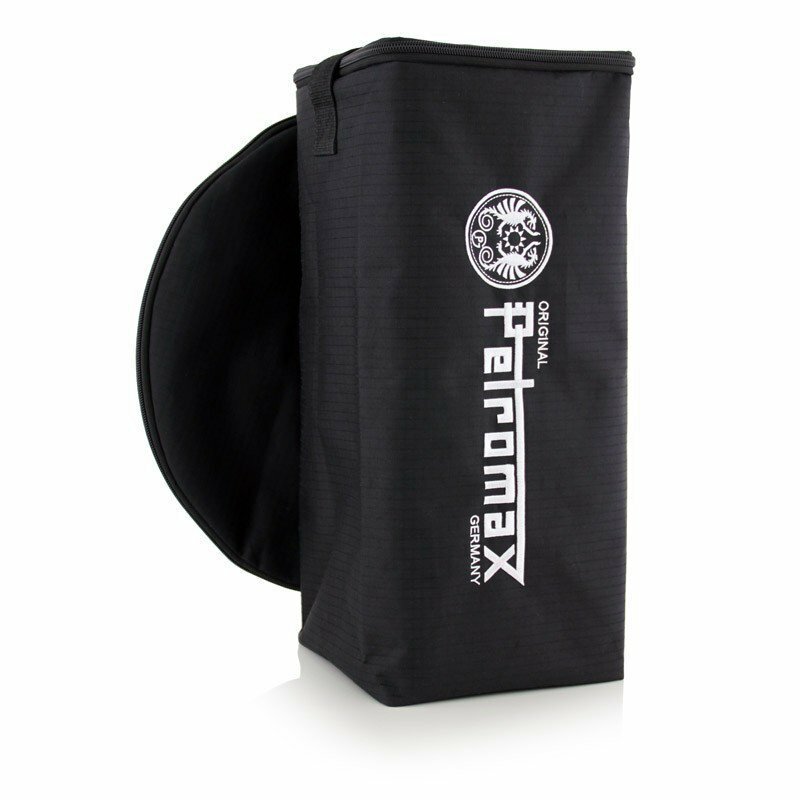 When in use, the Petromax HK500 makes a distinctive sound, like that of a small bellows or blower. 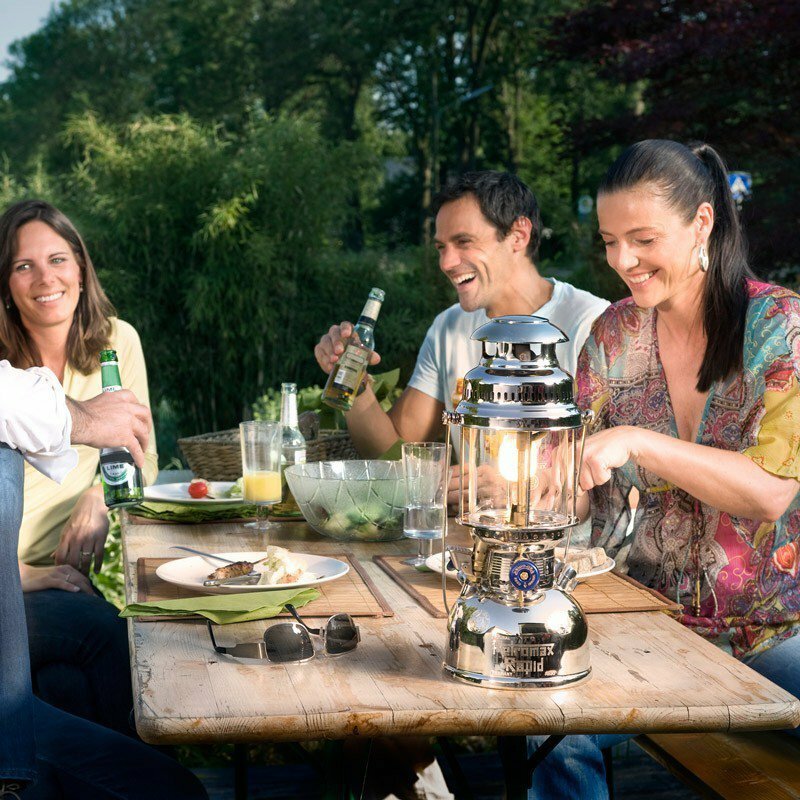 For those with particularly delicate ears, it is difficult to dine with a Petromax in the middle of the table. We recommend hanging it a few metres away to ensure your auditory comfort. 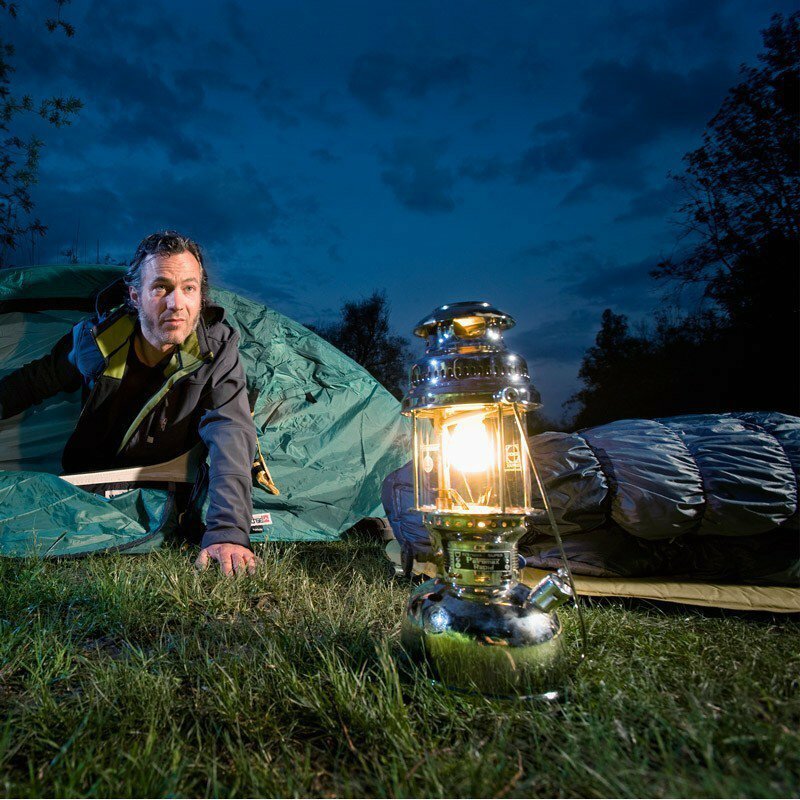 This is why we include a reflector with the hurricane lamp. 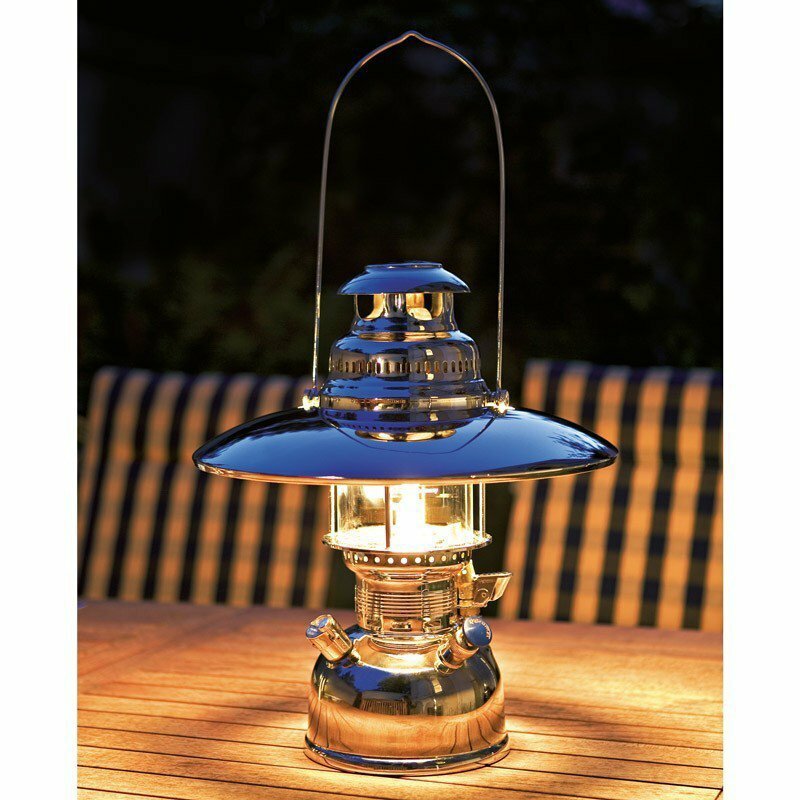 The Petromax hurricane lamp must be used by an adult who has carefully read the instructions for use and is familiar with them. This same adult should make sure the lamp is functioning properly and verify the state of its various components. Always keep Petromax out of reach of unsupervised children, whether it is lit or not. 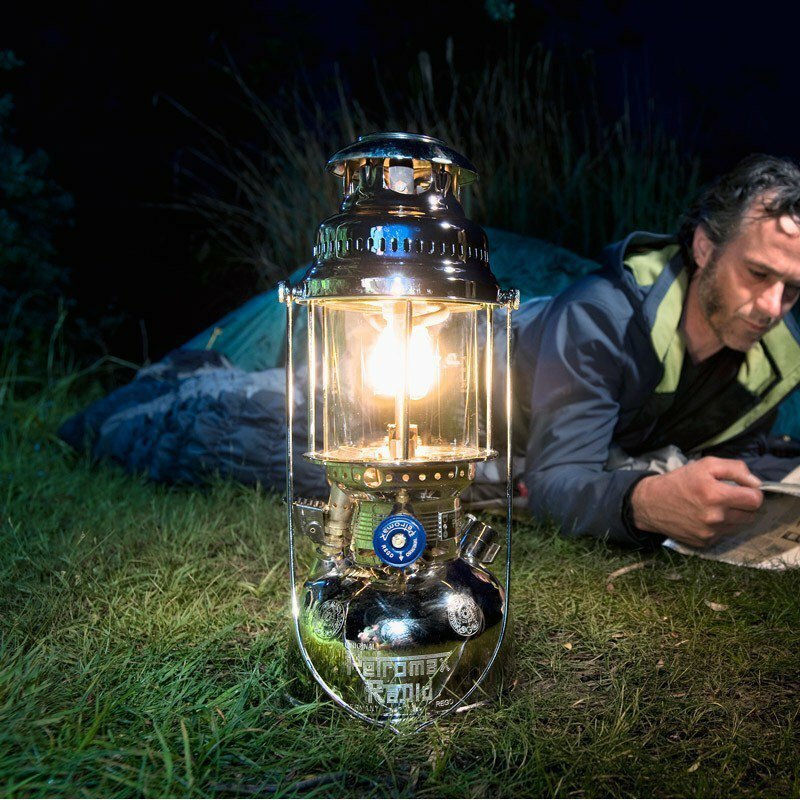 The Petromax hurricane lamp comes equipped with a manual dial (the blue grip knob on the side of the lamp). When the arrow is straight down, the lamp is ready to be used; when the arrow is straight up, there is no oil feeding the lamp and the lamp cannot be lit. When it is turned off or stored, the dial must be turned so that the arrow is straight up (vent screw unscrewed). When turned on, the arrow points down. 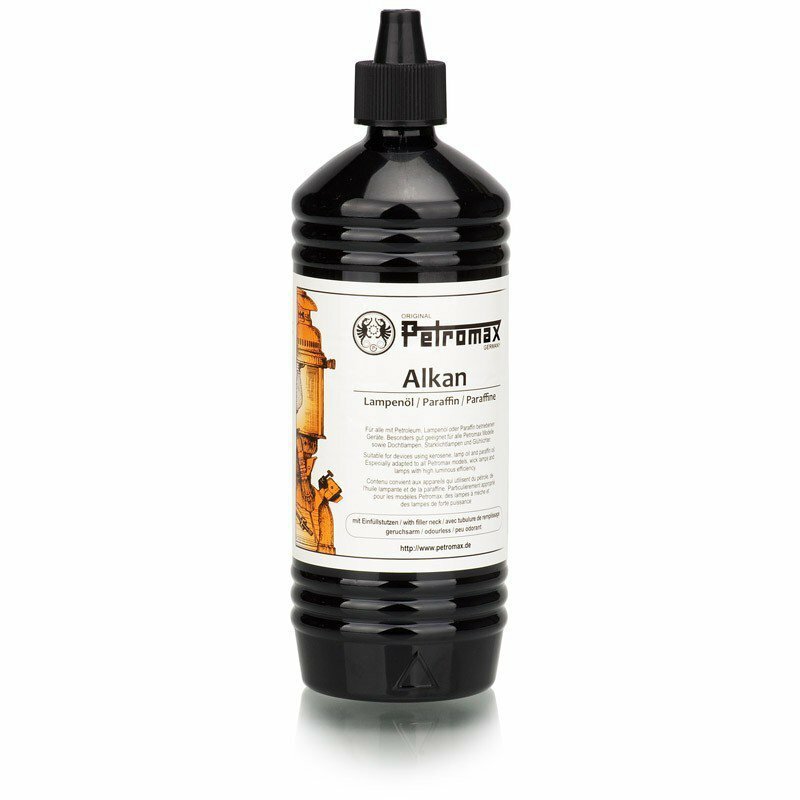 Only use Petromax Alkan paraffin oil or lamp oil (meant for oil-heated appliances and available in all hardware stores). Never use petrol, kerosene, or alcohol which are too volatile and flammable, and thus, dangerous. 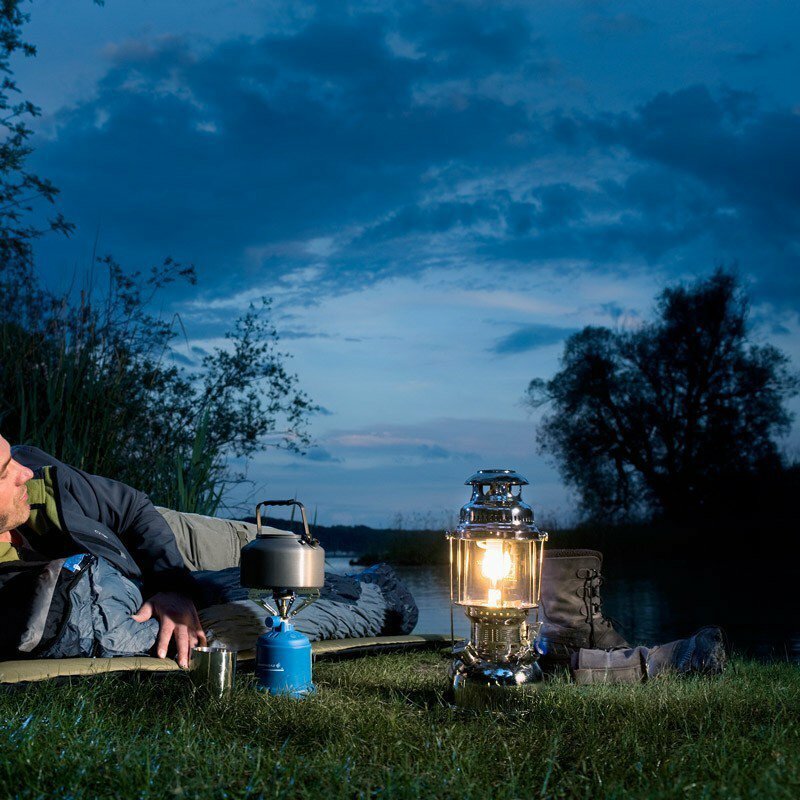 The Petromax oil lamp is truly mythic, with its origins in a scientific discovery back in 1885 (Carl Auer von Welsbach, Austria) and put into use twenty years later in 1910: the incandescent mantle. Made of rare earth minerals (cerium, thorium and yttrium) it amplifies the luminosity of a gas burner (by the way, Carl Auer von Welsbach was a student of Robert Bunsen, known for his eponymous gas burner). It was a German, Max Graetz, who established the Petromax brand (from his nickname, Petroleum Max) in 1910 and created the first Petromax models. Since then, they have been continually improved, made increasingly safer and easier to use throughout the 20th century. 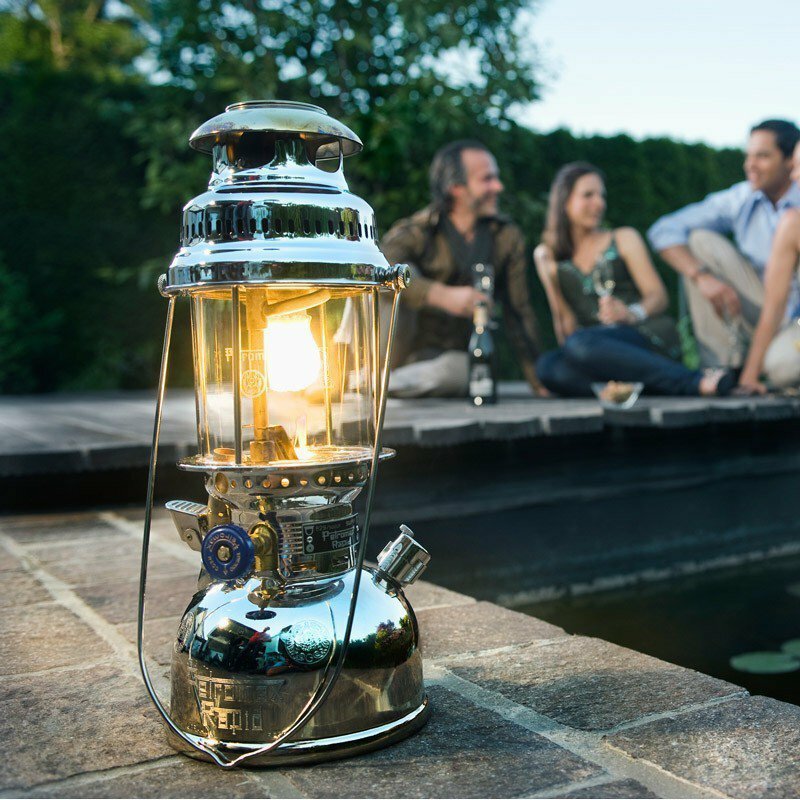 Several million Petromax oil lamps have been sold throughout the world since they were first created. Armies have used them to light their camps (in particular the Swiss and German armies, for whom special matt models were made that could use other types of fuel). 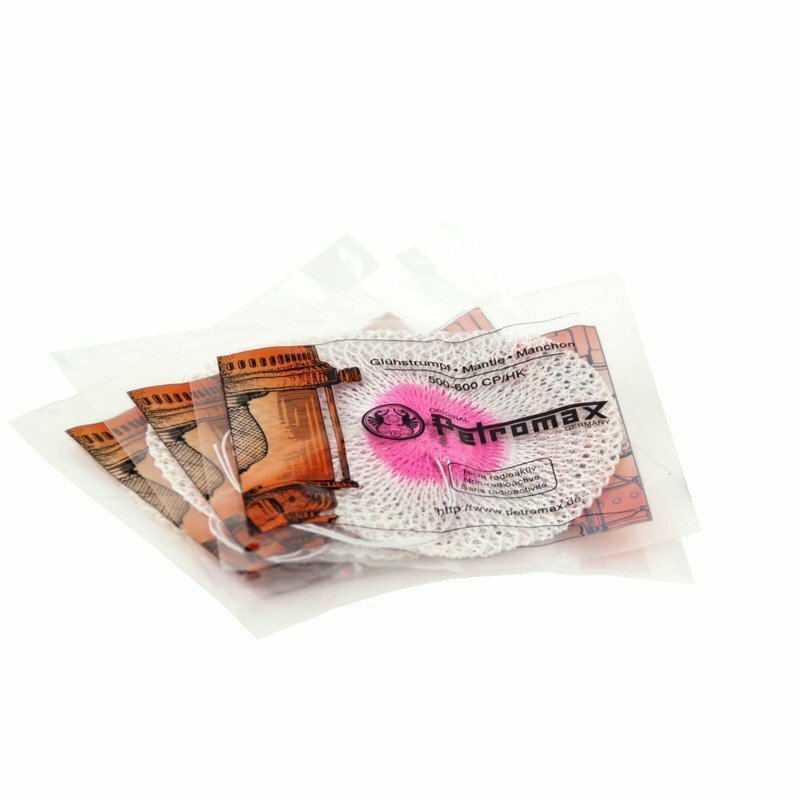 Today, this product is so effective and easy to use that there are still many fans of Petromax. 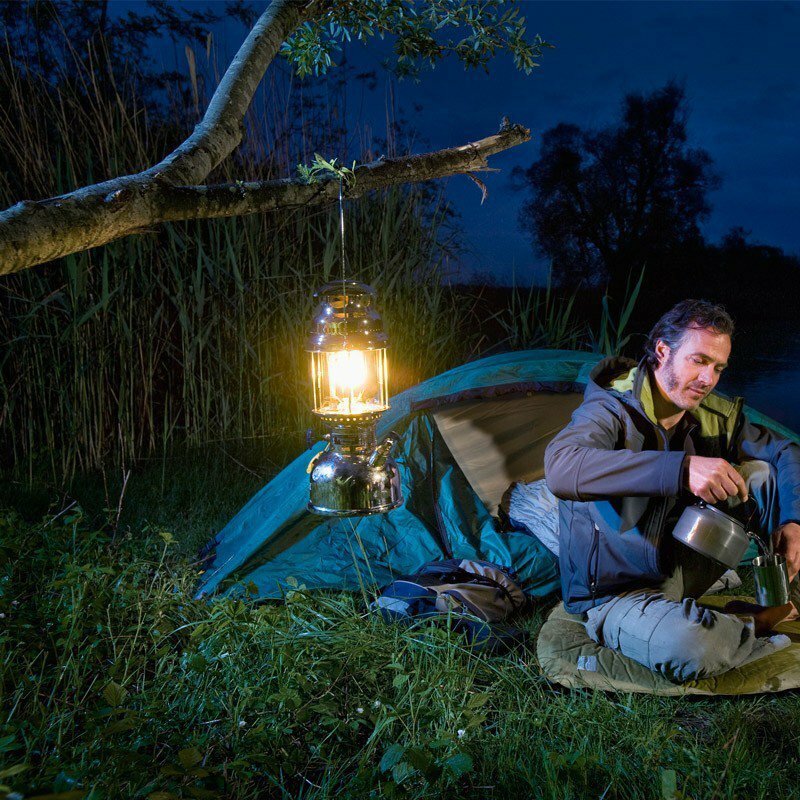 Even Lars von Trier used the superb light of this hurricane lantern in the hands of Kiefer Sutherland in the film Melancholia. classic and retro - only the best products survive over the years. 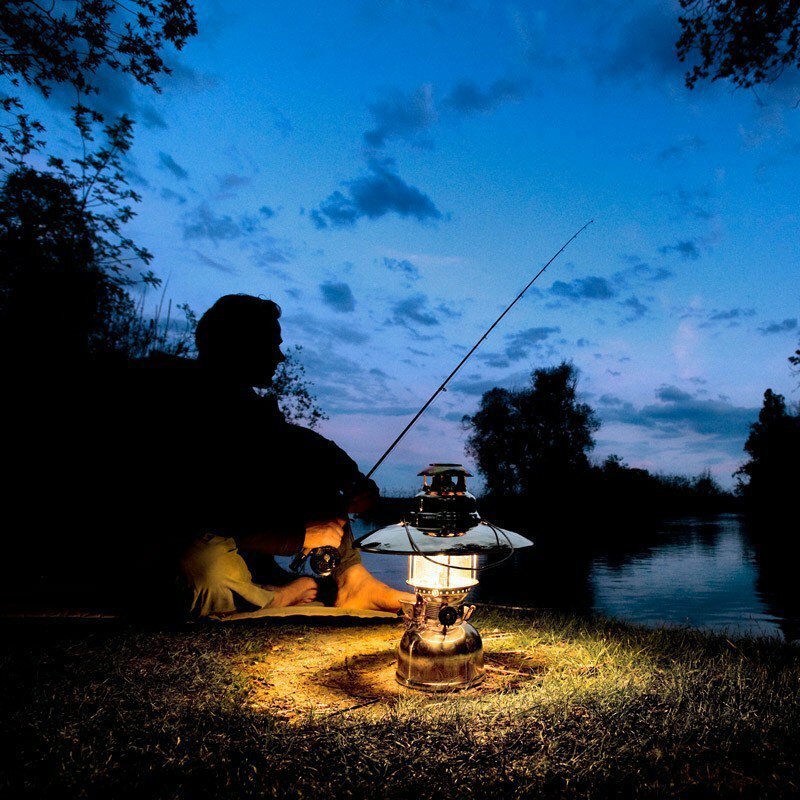 Even if modern power plants have made it possible for us to have a continual electricity supply, the Petromax lamp will always be there to light up any spot that is off the grid. 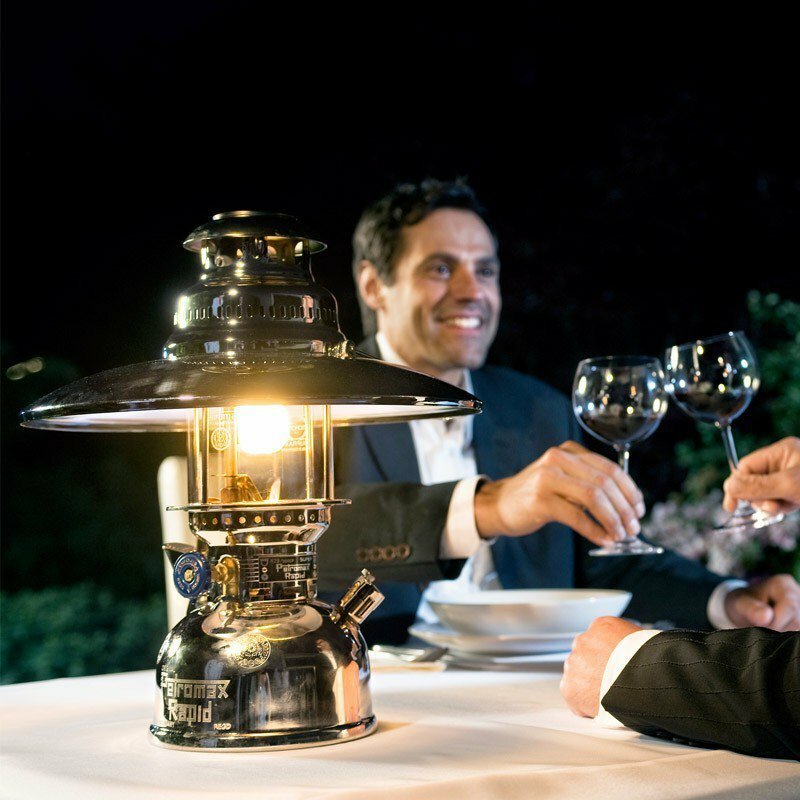 warm - the incandescent mantle produces a very "organic" light that is at the same time very powerful, and much more pleasant than the harsh white light produced by halogens or LEDs—the ideal light for creating outdoor ambiance. magnificent - the Petromax HK500 is an object that is not only efficient, durable, effective, and proven, but also majestic and esthetic.